The New Sun Rising with support from The Heinz Endowments is pleased to announce this Request for Proposals as part of the Transformative Arts Process (TAP), a Heinz Endowments’ grants program focused on fostering the careers of teaching artists and bringing transformative arts experiences to youth. TAP’s specific goal is to move towards a more Just Pittsburgh by invigorating the field of teaching artists and arts organizations that have a demonstrated practice of challenging structural inequities, bringing transformative arts centered experience to youth in and from African American/ distressed communities. The Transformative Teaching Artist Awards recognize that quality teaching artists should be recognized for the important work they do in Pittsburgh’s African American and “distressed” communities. Teaching artists play critical roles in the lives of the youth they serve, providing not only artistic skill building, but caring, support and mentorship. Yet those teaching artists who have chosen this as their life’s work face great challenges in building teaching artist careers. Most of our teaching artists are underpaid and under recognized; the delivery system for teaching artist instruction is fragmented; and arts instruction is often not assigned a high priority in public or out of school time programs. 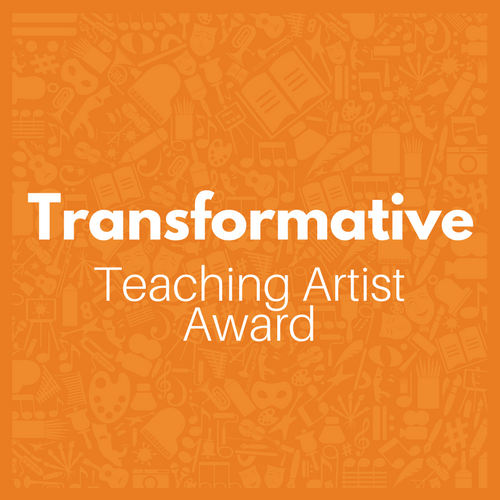 The Transformative Teaching Artist Awards have been created to add another validation, strengthened networking and increased visibility for the artists who choose to do this work amazingly well. It is our hope that these recognition awards can play a part in acknowledging teaching artistry designed to play a transformative role in the lives of youth living in African American, Black, and “distressed” neighborhoods, as an important and recognized profession. The Transformative Teaching Artist Awards program will provide ten teaching artists in the field with a cash award of $5,000. The awards are recognition awards which may be used in any way the recipient deems fit. Recipients have an increased sense of being appreciated and confidence in their work as a teaching artist. Recipients will join the TAP network and build relationships with colleagues they did not know and strengthen their own practice in the process. Local media will feature the work of recipients and highlight the importance of teaching art & culture in African American and “distressed” neighborhoods.